This is probably the only warriors game I will get in the year. Watch the Toyko Game Show 2017 trailer. 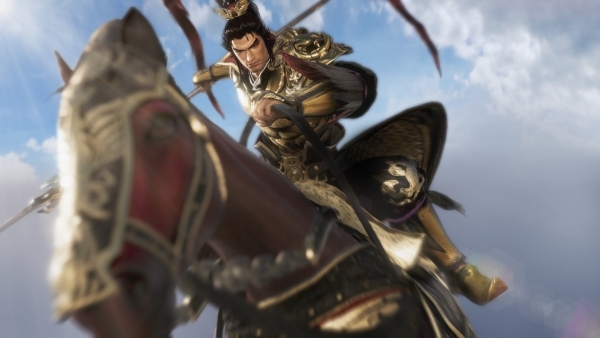 Dynasty Warriors 9 will launch worldwide for PlayStation 4, Xbox One, and PC in early 2018, Koei Tecmo announced at the 2017 PlayStation Press Conference in Japan. In Japan, it will only be available for PlayStation 4. A Dynasty Warriors 9-themed PlayStation 4 will also be released in Japan via the Sony Store. Even though i'm worried the new formula might not work, i am definitely getting this one. I haven't played a DW in along time will probably give this one ago. I do not play games that much, because I write my thesis now. But at least twice a weekend I find time for Dynasty Warriors. Spectacular game, worth setting time! Dynasty Warriors is probably most awaited series of Games that is equally loved by all game lovers no matter from which age group they are belonging to. Before reading your post i had no idea regarding the upcoming season of Dynasty Warriors. It would me more fun to play this on new year, but imagine how amazing it will be if it will be release on coming Halloween. All gamers will have more time to play it in their vacations. Imagine you will dress like a Zombie or in any Halloween costumes that you have purchased from spirit halloween by using spirit halloween coupons, and playing Dynasty Warriors 9 with your younger brother or friends, how amazing it would be. OMG, i just can't to play this. lolol DW loved by everyone! It's like the twilight zone.